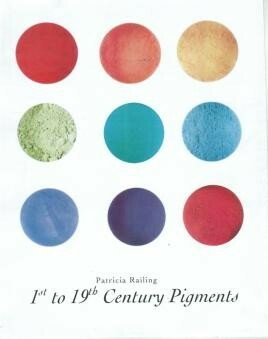 A collection of all the historical pigments mentioned in the treatises included in the series Colour Palettes, by century, complemented by recipes from other contemporary sources. The entries define the pigment - colour, its source (animal, plant, mineral) and its name - and describe its method of preparation, with historical remarks tracing the pigment through the centuries. Recipes provide the documentary history of the pigment beginning with the earliest known through to 1837, the date of George Field's, Chromatography, to make up a history of each pigment.